We deliver every morning till 7am (weekends-holidays till 8am) into our 3 daily delivery areas 1. Hongqiao area around the Shanghai Zoo 2. Qingpu area around the French/German School; 3. Minhang area around the American/British School and once - twice every week into different Shanghai City areas in the morning hours. For further information see Delivery. Just fill in the registration form and you are ready to order your first choice from our delicious breads, rolls, cakes or other products. Happy Easter and happy holidays! Summertime is barbecue time and for a great barbecue fresh bread is very important. So we would gladly like to present our summer-special to you, our FOCACCIA with the taste of a light note of garlic plus refreshing rosemary-a healthy pleasure which gives every barbecue a European scent. As of the beginning of June you can order our FOCACCIA in the “bread”-section in our webshop. Your team of ABENDBROTSummertime is barbecue time and for a great barbecue fresh bread is very important. So we would gladly like to present our summer-special to you, our FOCACCIA with the taste of a light note of garlic plus refreshing rosemary-a healthy pleasure which gives every barbecue a European scent. It will be autumn soon, probably the most delightful time of the year. Autumn is a time of change. That’s why we are extending our range of breads by a fall specialty, the POTATO BREAD. You can serve this delicacy individual as you like with salad, salmon, tuna and much more. Enjoy our POTATO BREAD with the taste of pure potatoes– a healthy pleasure which will made your mouth water. It is not necessary to have any additional dish! You can of course enjoy the bread as it is to experience the pure culinary delight. As of the beginning of September you can order our POTATO BREAD in the “bread” - "bread cut" section in our webshop. As of the beginning of September you can order our POTATO BREAD in the “bread” - "bread cut" section in our webshop.It will be autumn soon, probably the most delightful time of the year. Autumn is a time of change. That’s why we are extending our range of breads by a fall specialty, the POTATO BREAD. It is time to say goodbye to our Potato Bread which accompanied us through the autumn time. The good news is that we can welcome our new Winter Bread! When you cut this bread a wonderful smell of winter and Christmas will spread the room. Furthermore our Rosemary Bread will have a rest while our Oatflakes Bread is now available again! Spring sends us its first greetings and also our bakers are in full swing. Now we say good bye to our WINTER BREAD and start our FITNESS BREAD. As of the beginning of March you can order our FITNESS BREAD in the “bread” - "bread cut" section at our webshop. Look forward to our ideas for the coming spring season and certainly to our easter products. Look forward to our ideas for the coming spring season and certainly to our easter products.Spring sends us its first greetings and also our bakers are in full swing. Now we say good bye to our WINTER BREAD and start our FITNESS BREAD. 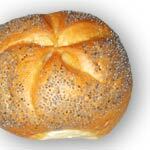 As of the beginning of March you can order our FITNESS BREAD in the “bread” - "bread cut" section at our webshop. 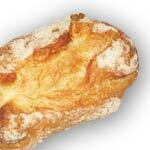 As of the beginning of September you can order our POTATO BREAD in the “bread” - "bread cut" section at our webshop. We are looking forward to your orders!It will be autumn soon, probably the most delightful time of the year. Autumn is a time of change. That’s why we are extending our range of breads by a fall specialty, the POTATO BREAD. We are looking forward to your orders!We are looking forward to your orders! Time to breathe in the spring air, take long walks in the country and enjoy the budding flowers. With luck, you might meet the Easter bunny or find some colorfully painted eggs! The Abendbrot German Bakery Team wishes you a happy holiday and sends you and your family warm Easter greetings! You can find our fresh products in several shops in Shanghai, see our Address-List.